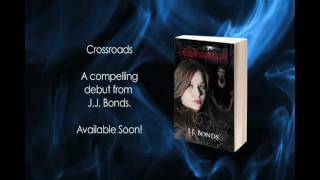 J.J. Bonds is an independent author who writes Young Adult Paranormal Romance & Urban Fantasy. She is the author of the bestselling Crossroads Academy series. J.J. lives in Carlisle, Pennsylvania where her obsession with all things paranormal keeps life interesting. She lives with her husband, two adorable children, and one rambunctious K9. Loves Buffy, Mexican food, and all things zombie. Sings off-key. To ask J.J. Bonds questions, please sign up. Hiya, do you have a time range for the release of book 3 - it's been a long wait...? We’d love your help. Let us know what’s wrong with this preview of Fire & Flood by Victoria Scott. We’d love your help. Let us know what’s wrong with this preview of We Told Six Lies by Victoria Scott. We’d love your help. Let us know what’s wrong with this preview of The Book of Ivy by Amy Engel. Thanks for the friendship, J.J.! Thank you for the friendvite!! I absolutely love the Crossroads series, and I'm dying for book 3!! Thanks Jill! I am always thrilled to find new reviewers! If you would like to read the series, I'd be happy to provide e-books of both Crossroads and Red Dawn(whatever format you prefer). The support of bloggers like yourself means the world to me so review copies is the least I can do to say thanks! I loved helping out with the Red Dawn cover reveal! If you ever need a blogger to review let me know!